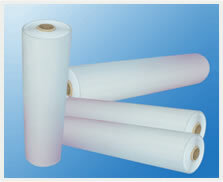 H.F.I supplies full ranges of flexible laminated materials, such as 6520,6630(DMD),6630A(DMD), 6640(NMN), 6650(NHN),etc. Usual colors are red, write, green and grey, special colors upon special requests. FW-6630 (DMD) is Polyester Film/Polyester Non-woven Fabric Combined Flexible Material.Heat resistance is Class B.
FW-6630A(DMD) is Polyester Film/Polyester Fibre Non-Woven Fabric Flexible Material.Heat resistance is Class B.
FW-6631 (DMDM),Polyester Film/Polyester Non-woven Fabric Combined Flexible Material.Heat resistance is class B.
FW-6632(DM) Polyester Film/Polyester Non-woven Fabric Combined Flexible Material.The heat resistance is class B.
FW-6641(F-DMD) Polyester Film/Polyester Non-woven Fabric Combined Flexible Material.Heat resistance, class F.
FW-6643(DMD 100) Polyester Film/Polyester Non-woven Fabric Combined Flexible Material.Heat resistance, class F.
FW-6640(NMN) Polyester Film/ Polyaramid fabric (Nomex Paper) combined flexible material.Heat resistance, class F.
FW-6650(NHN) Polyester Film/ Polyaramid fabric (Nomex Paper) combined flexible material.Heat resistance, class H.